TMZ has been at the front of all recent celebrity burglary news, which it believes is part of a larger “crime explosion” in Los Angeles. Apparently, thieves have targeted homes belonging to Alanis Morrisette, dog whisperer Cesar Millan, and LA Dodger Yasiel Puig. In the case of the baseball player, they took $500,000 worth of jewelry from his home. The latest in this rash of burglaries failed to net the offender anything nearly as valuable as those baubles, but it‘ll still land her the same kind of sentence. 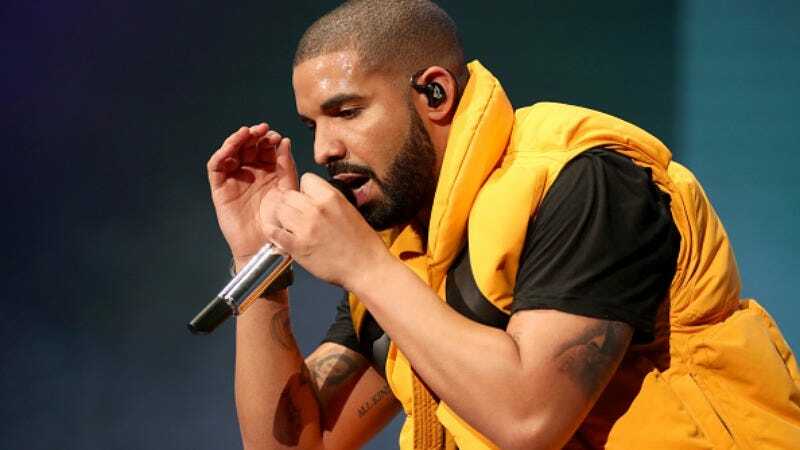 TMZ reports that a 24-year-old woman has been charged with a felony after being found in Drake’s home, drinking his soft drinks and wearing his hoodies earlier this month. A member of the Views rapper’s crew found the woman just hanging out in Drake’s house on April 3. Police found no signs of forced entry, but the woman didn’t have permission to be there. So, even though she only drank some “Sprite, Pepsi, and Fiji water,” she’s been arrested and charged with felony burglary. Drake briefly lost something slightly more valuable on tour last year, when someone stole $3 million worth of jewelry from his tour bus. It was later recovered.